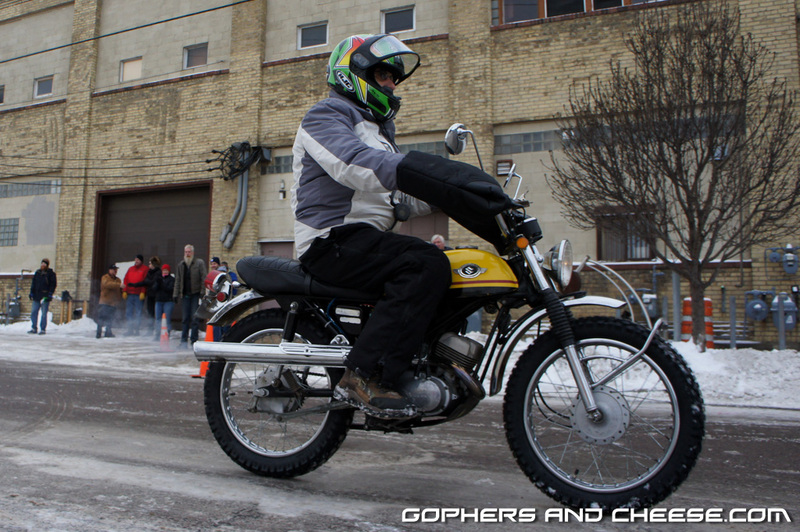 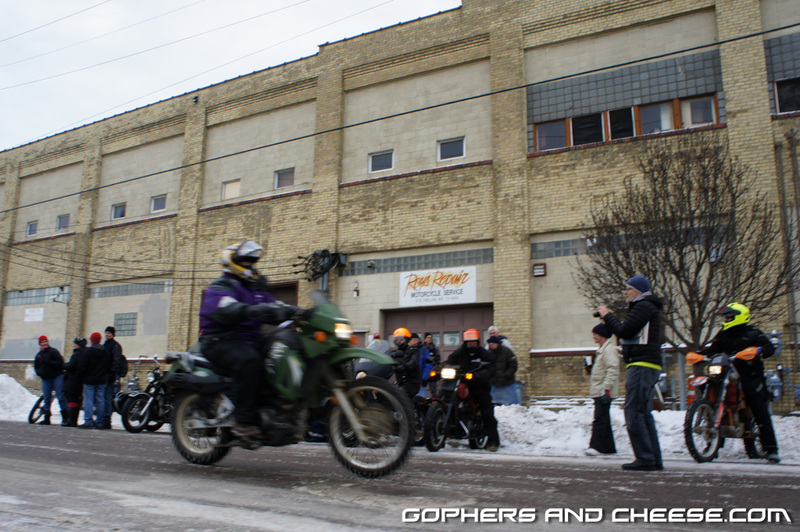 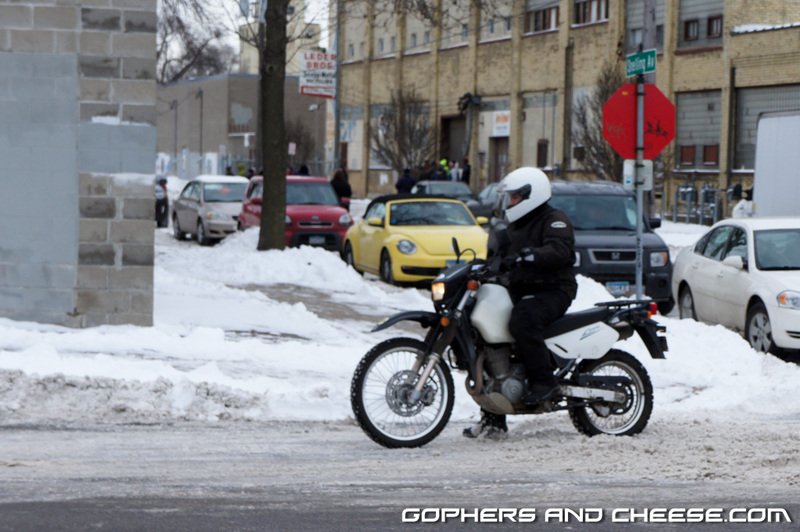 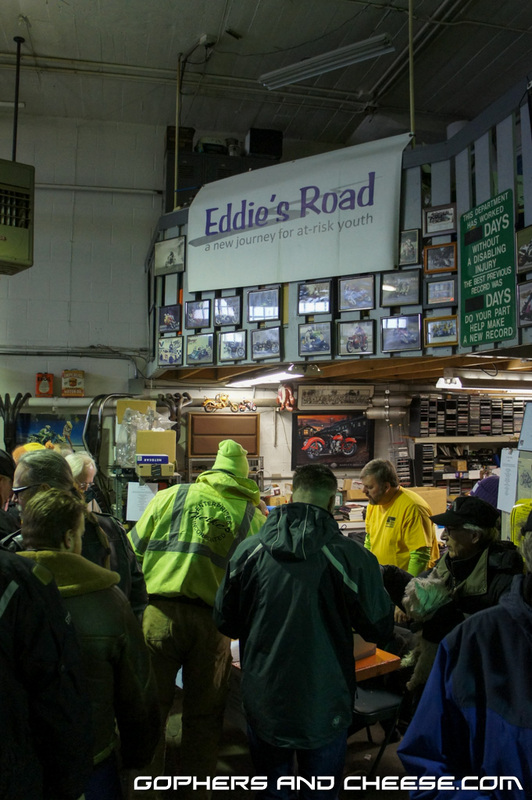 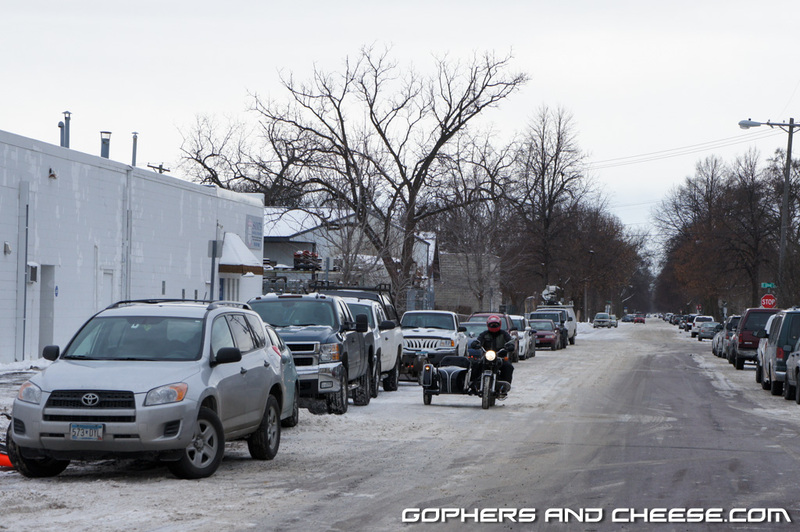 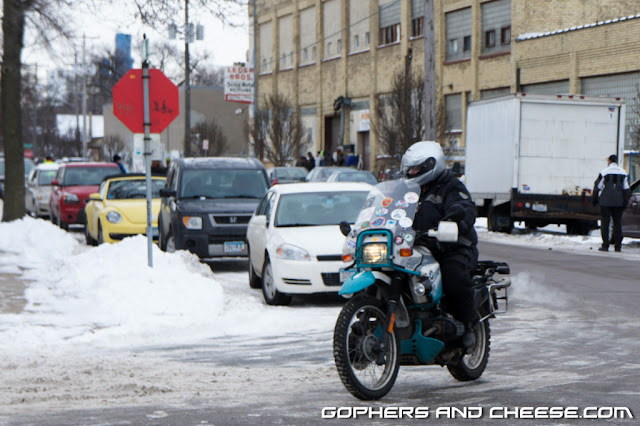 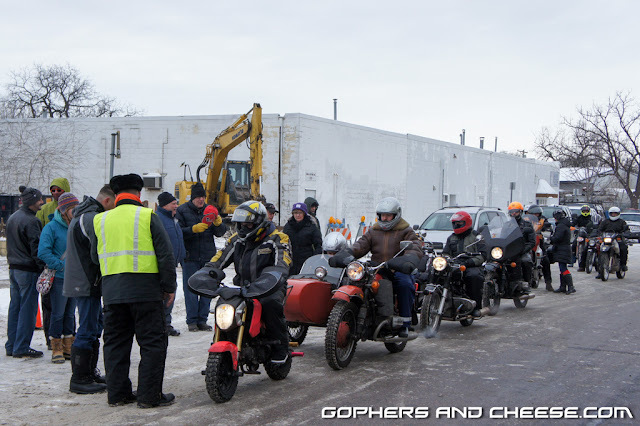 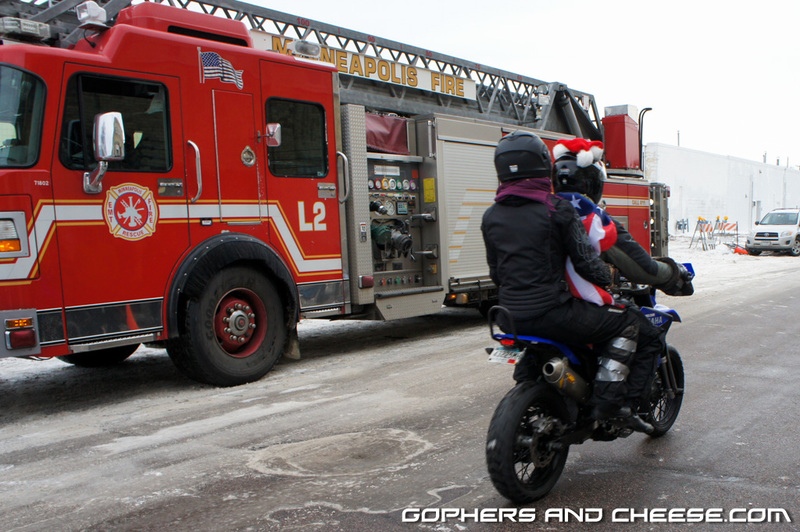 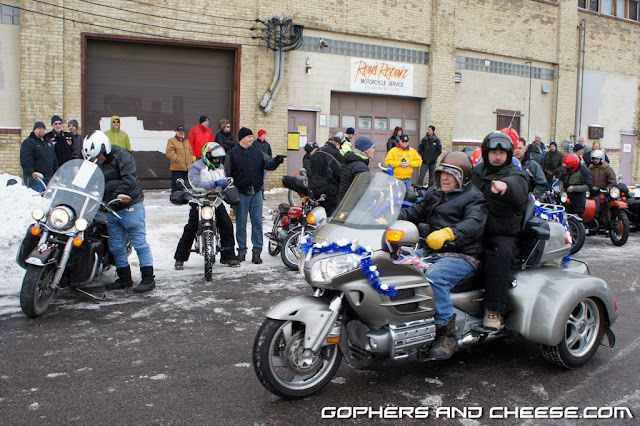 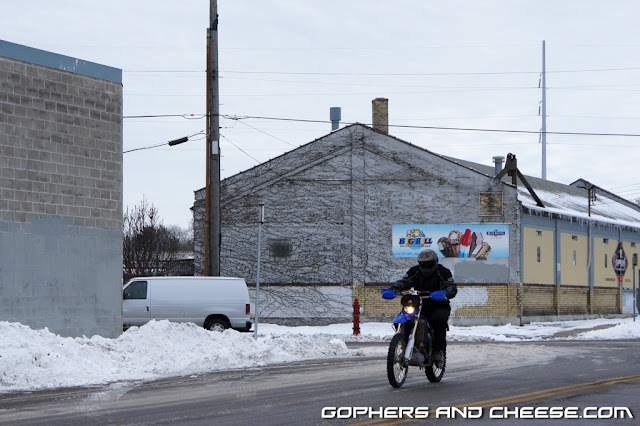 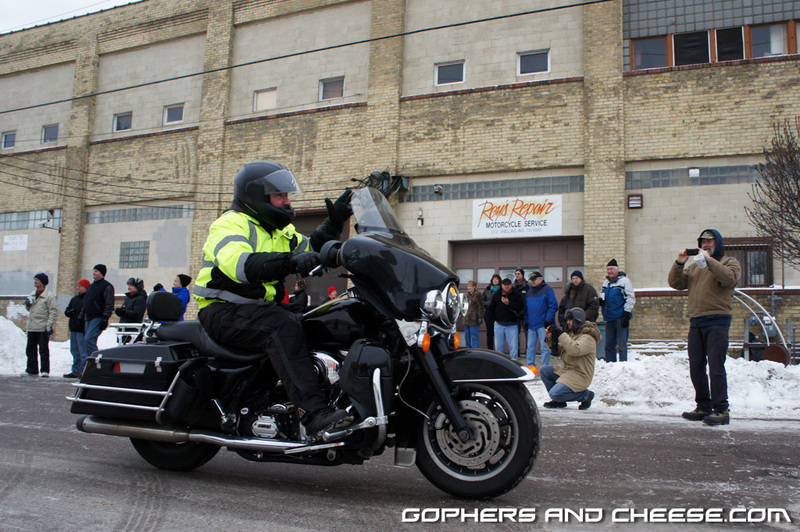 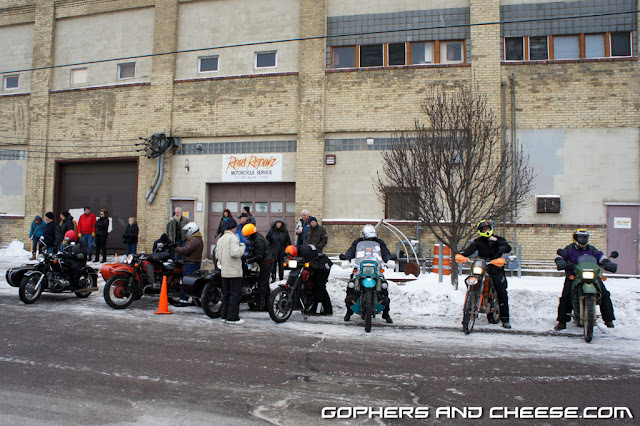 The 68th Annual I-Cycle Derby was held on January 1st, as usual. 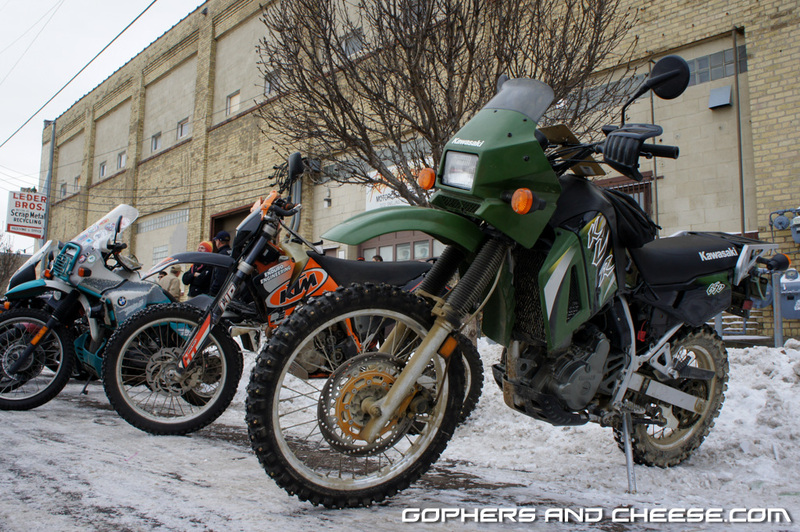 The weather was decent as we've been having a pretty mild winter so far. 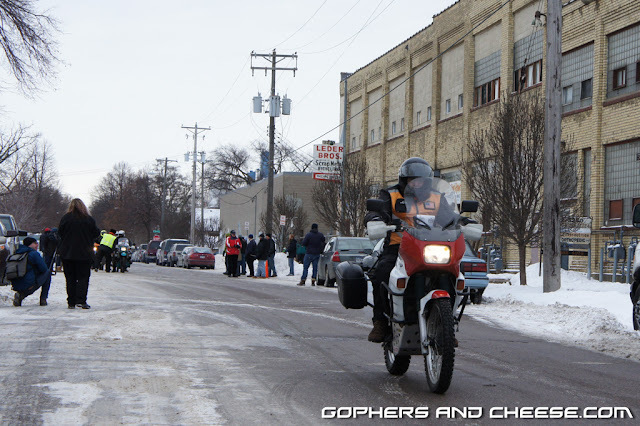 Roads were mostly (not completely) clear and temps were in the upper 20s. 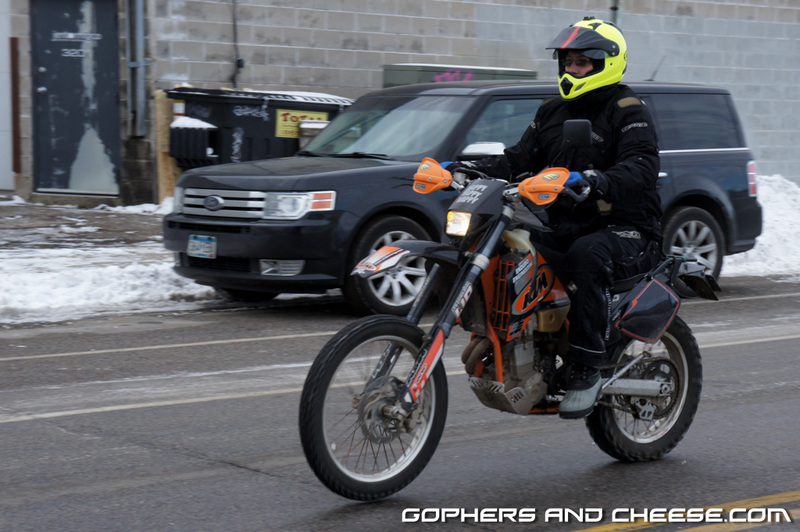 It's about as good as you could ask for in Minnesota at this time of year. 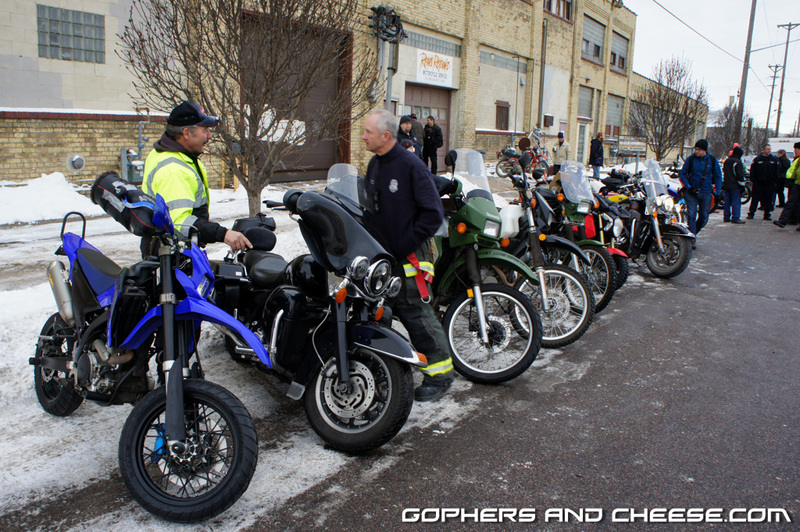 Just over 20 bikes showed up. While some had 3 wheels, most only had 2. 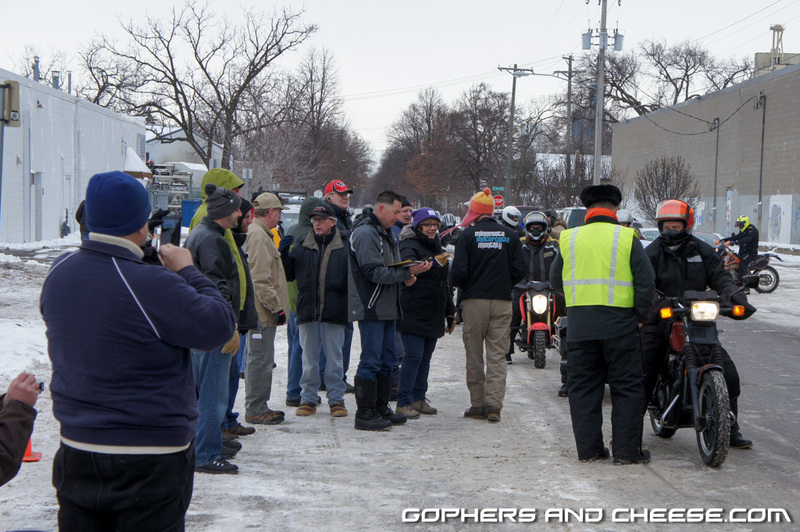 Look close as there are two Harley baggers in the mix. 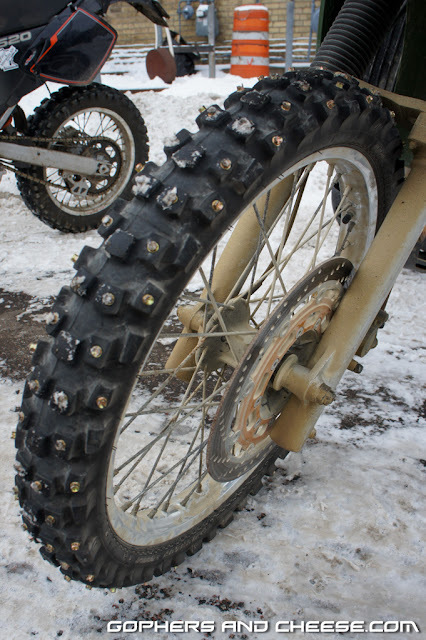 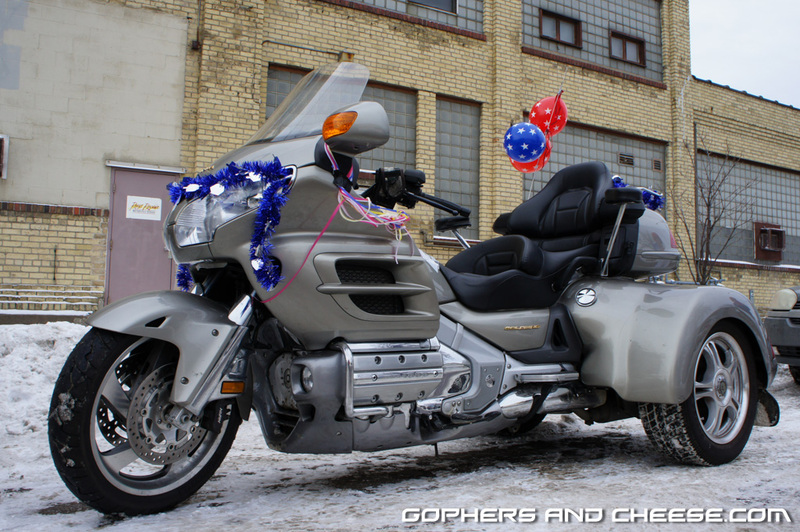 This is the only bike I saw with studded tires. 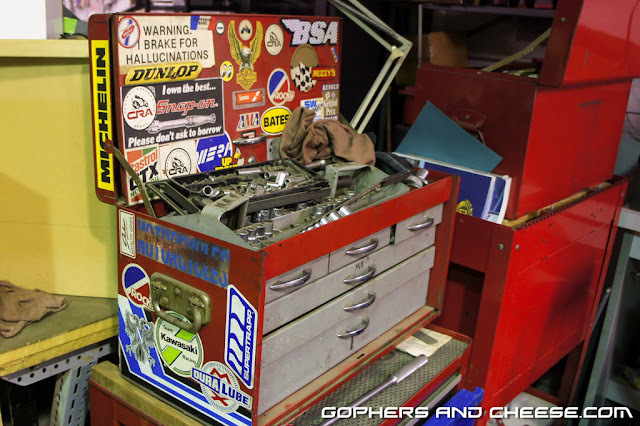 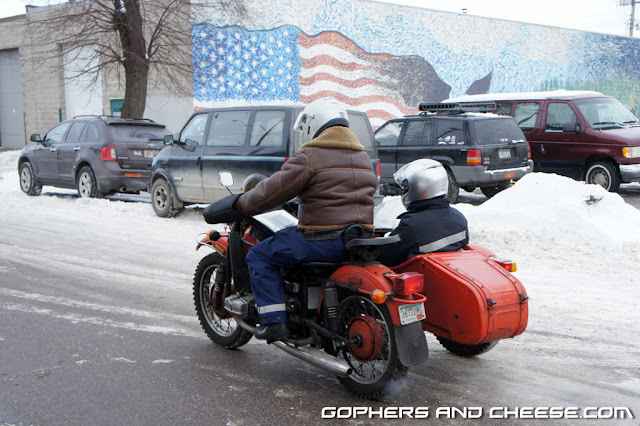 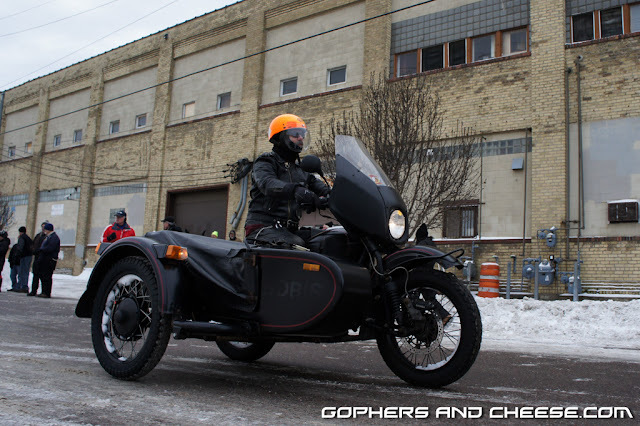 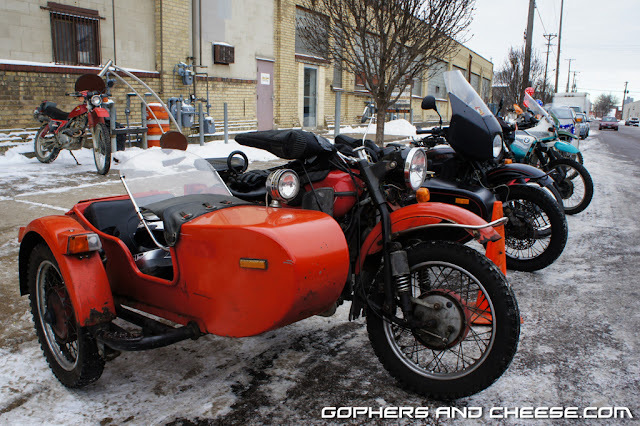 Like last year, the event was held at Roy's Repair in Minneapolis. This is the rider briefing. 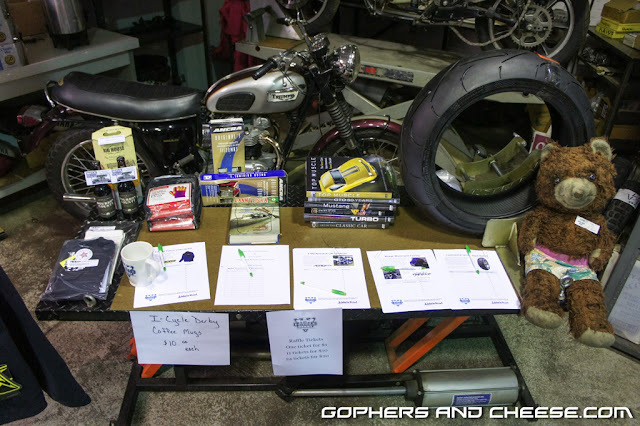 There was an assortment of auction items and raffle prizes. 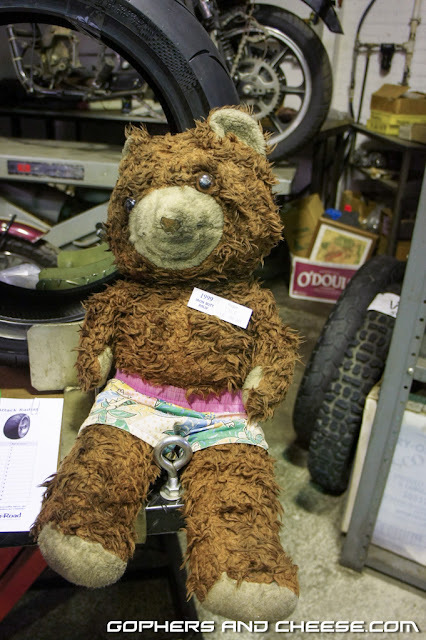 I don't think the Lyle The Bear was up for grabs but he looks like he's seen some miles. After the briefing, the riders got ready to leave. 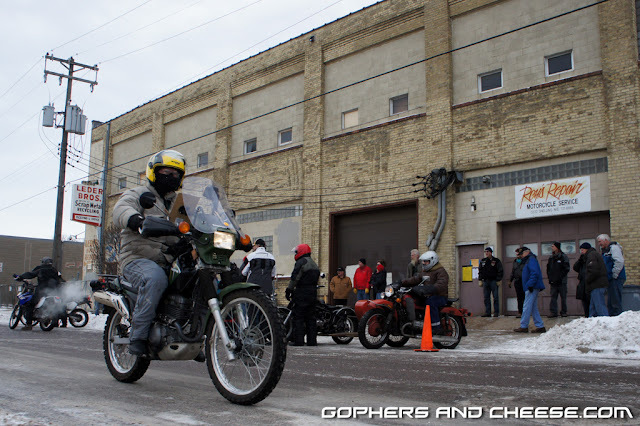 While it's a timed event, it is not a race. The winner is the rider with the closest average speed versus goal for each of the 6 legs. 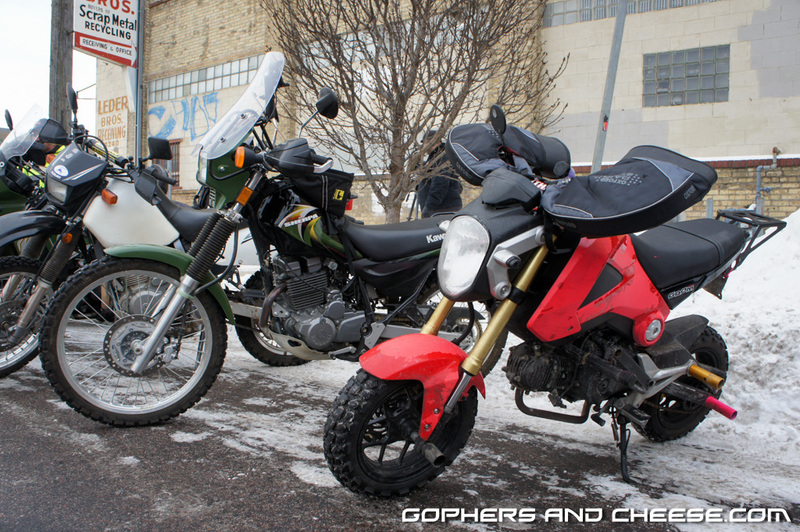 The riders are purposefully spaced apart. Here are a few of them as they headed out.